The fort is believed to be built in 11th century by Gakhars in Potohar region far from the easily accessible paths, lying in oblivion and mourning its glorious past. 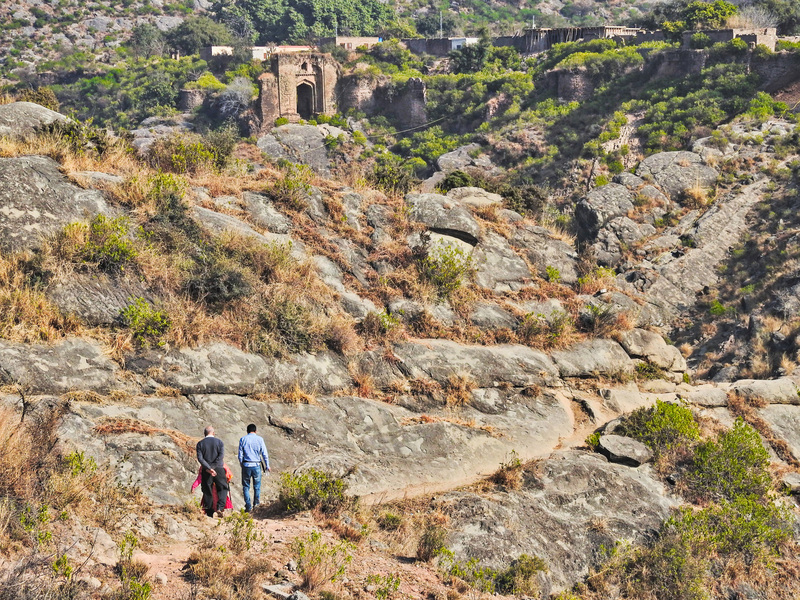 The fort is built over the high ridges and protected by deep slopes. 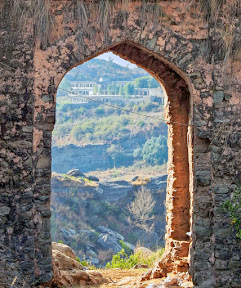 Now, its walls have disappeared from many places, but the grand beauty of the fort can be seen from some of the remaining doors. 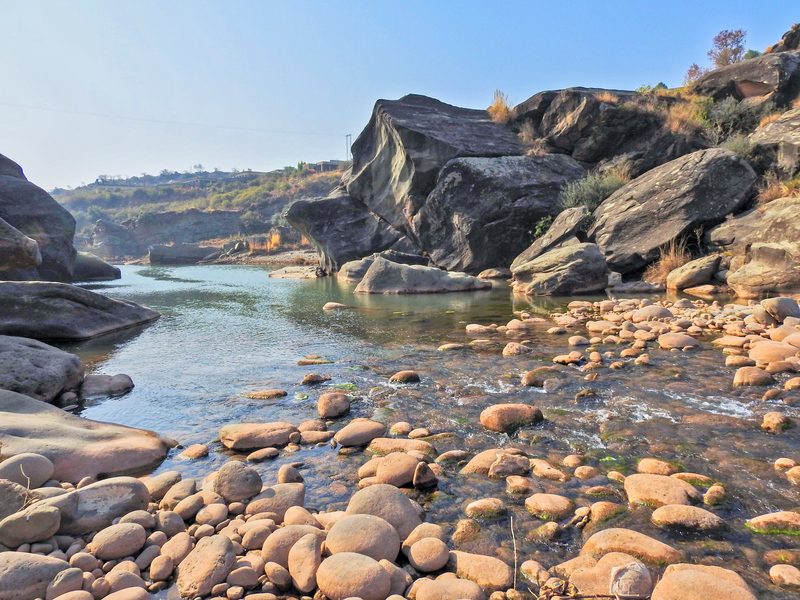 People tell the stories associated with the fort that it belongs to the fearless clan of Gahkars, mainly known for their bravery and fighting skills. They played a huge role in setting history in the region for centuries. 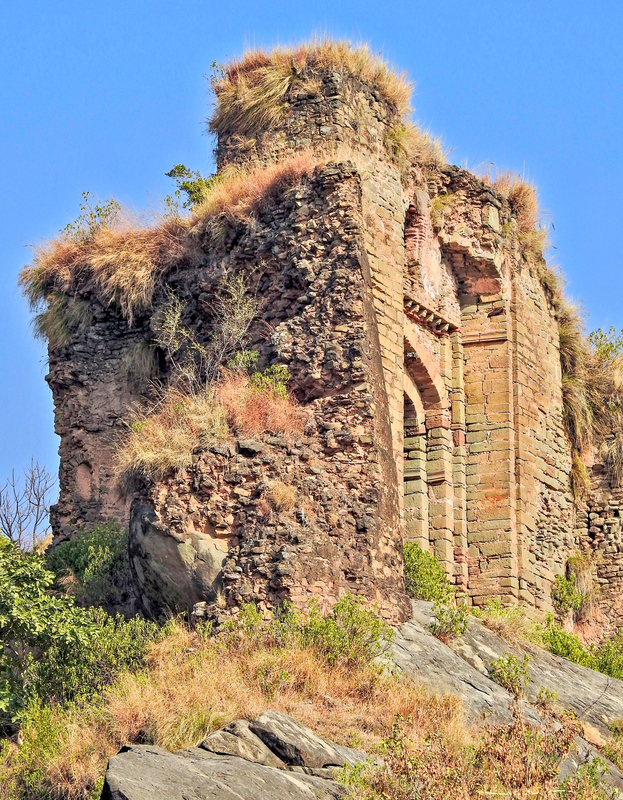 It is also known that the great Mughal emperor Babur launched a campaign to conquer the Gakhar stronghold in 1519. 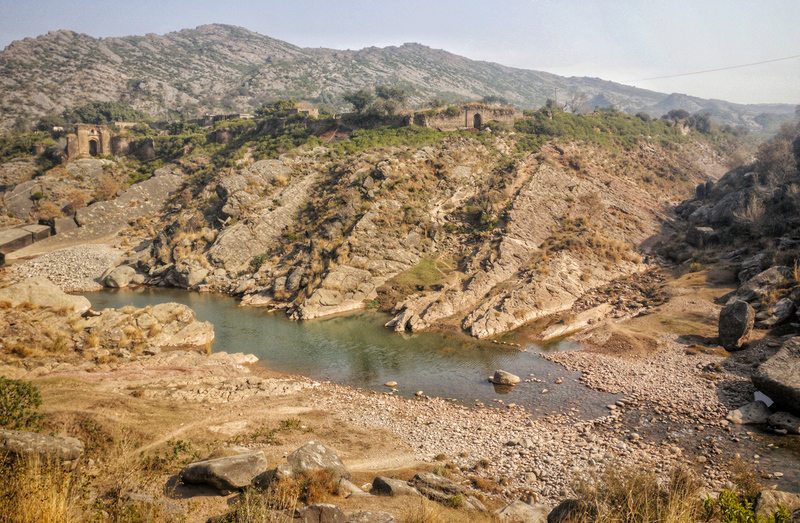 Gakhars, despite their strategic positioning, could not stand the might of Babur’s army and escaped through a narrow valley on the northern side of the fort. As it turned out, the Gakhars remained loyal to the Mughals and even supported Humayun in his exile. 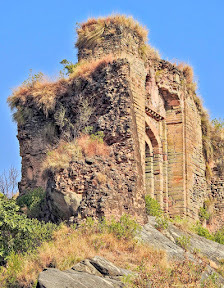 Shershah, who took over the rest of the Mughal Empire, could never take away Pharwala Fort from the resilient Gakhars and later ordered the construction of the Rohtas Fort to quell Gakhar's resistance. 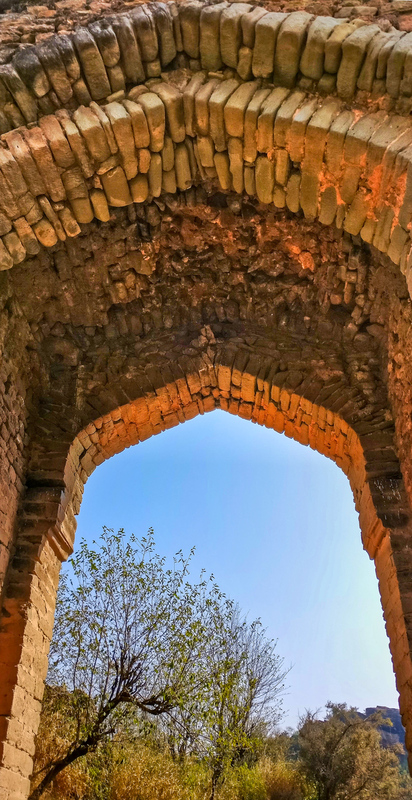 The fort is located 20 Km from the Airport Chowk on the left bank of river Sohan, about 30 Km on north-east of Islamabad(Adjacent to a small village Bagh Jogian). Now onward you will have to walk for about half a kilometer to enter the fort, as it is on the eastern side of the Sohan river. 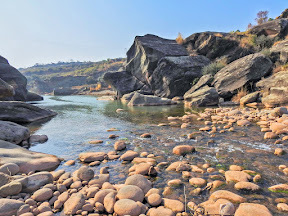 One has to pass through the shallow water of River Sohan to reach the fort. It is ideally located and represents a model of a typical military fort with all the features of a great safe-haven for a defensive fort. 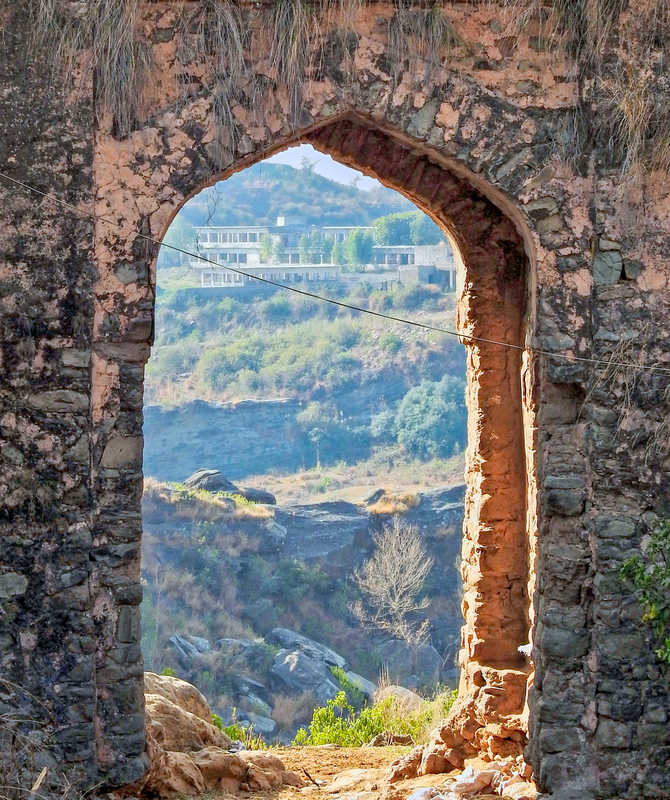 When you cross the river and climb up the hill, you will find abandoned mosque on your left side. There is also an abandoned temple on the right-hand side while you climb. "The elders told that villages in Potohar used to have a defense force. Every village used to contribute the best from their village in that force. 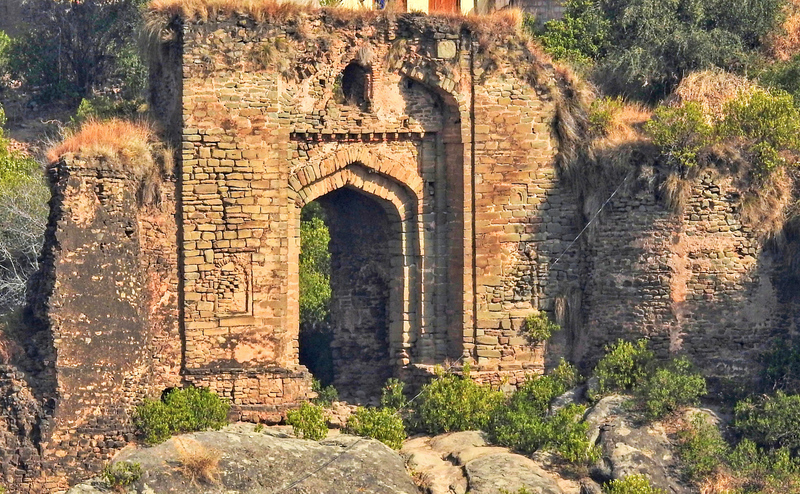 That makes the Ghakkar force and they constructed Ghakkar forts for defense. Pharwala fort was damaged during the fights with Sher Shah. 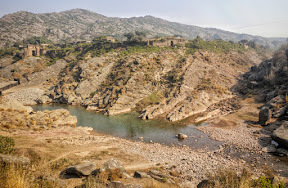 The Ghakkars were responsible to capture the Rohtas fort and for the defeat of Sher Shah in this regions. 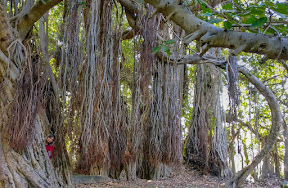 The banyan tree situated inside the fort premises has many urban legends associated with it. 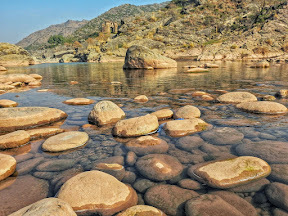 The most interesting stuff is that the place of Warfare between Alexander and Local king of Peruvia ( Former North Punjab ) had taken place in this same region. That battle is known as Ultimate Battles of history and History Channel has covered it as well. 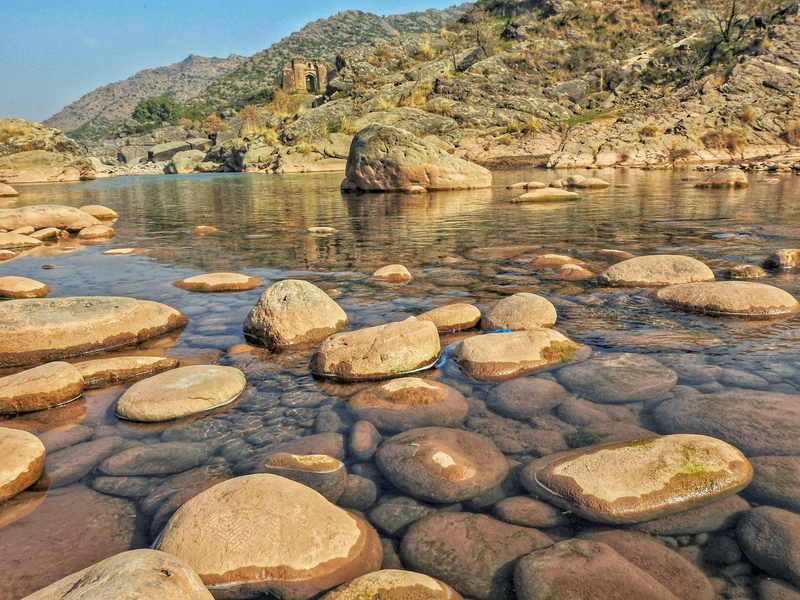 In Europe, that battle is known as Battle of Hydaspes ( old name of River Jhelum)." On the lighter note, the people living inside the fort are not friendly and do not welcome any uninvited visits. People warn you not to go inside the fort as people have built their homes inside of the fort. People have been living in the most primitive conditions inside the fort. The mosque is said to date from 1659 - 1668-69 and is also known as the Chinianwali Masjid because of the extraordinary mosaic tile work (Kashi Kari) for which the reign of Shah Jahan was famous. 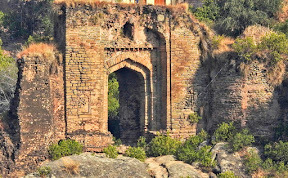 It was completed during Aurangzeb's reign. A number of historical sites dot Lahore, a city which has been inhabited for hundred of years. The old walled city of Lahore, has some wonderful Muslim, Hindu and Sikh architecture of historic significance, besides the 'havelis' built by the Dhyan Singh family. They once ruled Kashmir and migrated to India in the turmoil of 1947. "Haveli of Asif Jah" is among one of those havelis. 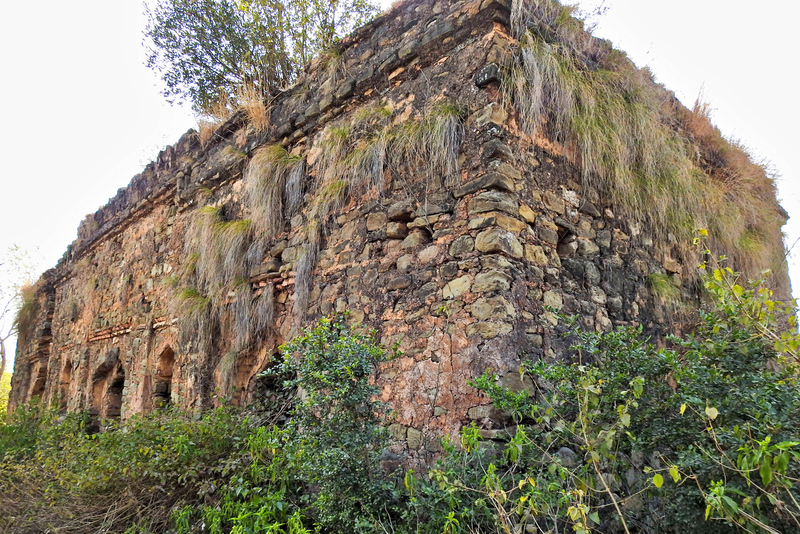 It has seen many dynasties and suffered hardship of time, and now it’s serving as a Women's College in Chuna Mandi. We usually have typical Desi recipes on Eid celebrations and have always opt simple & quick recipes! This recipe is quick and different in its way, usually chicken is being consider a main ingredient in most of the Italian recipes but here we replace beef with chicken and develop totally unique and authentic Italian taste of beef mince courtesy of Italian spices!